OSCN.NET is a simple way to search Tulsa court records. 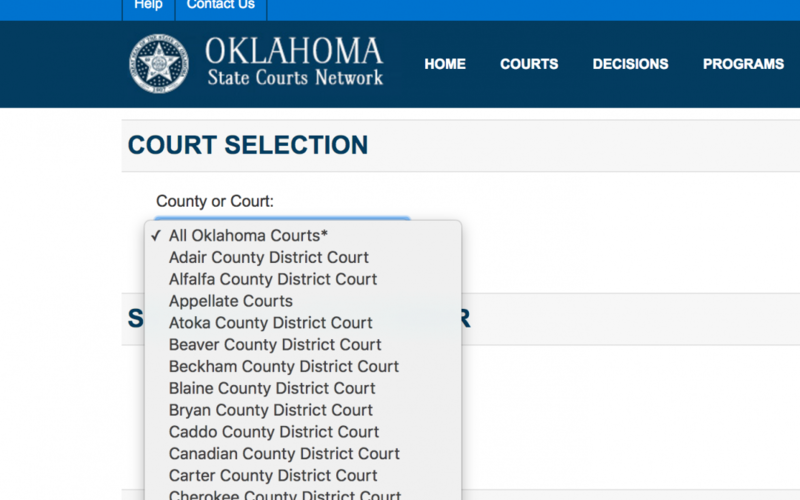 Most Oklahoma courts are very good at keeping court records up-to-date online at OSCN.NET. In our experience, Tulsa court staff are some of the best in the state. Since this is a public record database, anyone can research court records and view court dates. Occasionally, court minutes do contain errors. That’s why it’s always a good idea to write down what the judge tells you and verify the information online, with your bondsman or with an attorney. To search Tulsa Court records, visit http://www.oscn.net/dockets/Search.aspx (District Court Only). Spelling is important. Sometime the court system will misspell your name. If you can’t find a record, try other variations. After you have the case record located, be sure to read both the “Calendar of Events” and court minutes in blue to verify court dates. Court dates are not always placed in both locations. Questions About a Tulsa Court Record Search? If you have any questions, remember you can always contact your attorney or bondsman. Signature Bail Bonds of Tulsa is always willing to help make sense of your court record. Contact an agent of Signature Bail Bonds with any Court Related Questions.